Some people are natural gift-givers, while others can’t go beyond getting socks before feeling overwhelmed. This is why it shouldn’t come as a surprise that giving gifts to grade school kids can even be a big challenge for most adults. While you can always just pick up the first fun toy that you come across, there are actually more meaningful products that can be the best toys and gifts for 8 year old boys. If you’re a caring adult who wants to give a great gift that your 8 year old child will appreciate and enjoy, this list is for you. 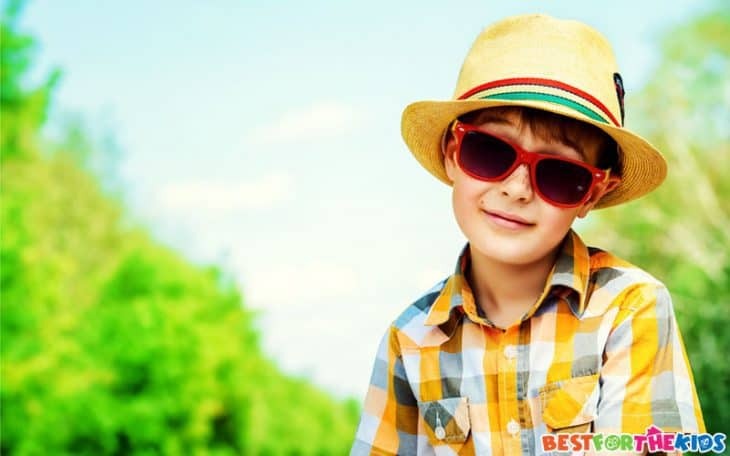 Check out these 20 items that any grade school boy will love. Young boys have always loved playing with toy guns as it gives them an outlet to release their energy and play pretend. While some people disagree with letting young kids play with toy guns, experts say that this can be good for young boys as it can release their aggression in a safe and controlled manner. While the Nerf N-Strike Elite Tactical Vest Kit isn’t exactly a toy gun, it’s actually the next best thing for a kid that loves these blasters. This accessory will give them easy access to their darts, giving them uninterrupted play time. What's Great About It: This tactical vest kit will not only make your kid look cool when playing their games, but it will also be a useful tool for their make-believe play. This can encourage their problem-solving skills and allow them to expand their creativity as they find ways to use the pockets for a wide array of purposes. Toys that require a good amount of physical movement can be the best gifts to give to an eight-year-old, as they can now easily control their body movements. They also tend to have a blast when moving about, so why not grab a Marky Sparky Blast Pad Missile Launcher that will require them to stomp on the launch pad to give the missile a nice push to fly up to the air. Watch them compete to see who can get the missile to fly the highest. What's Great About It: This product involves physical movements so your child will not only get a fun toy, but will also get some exercise when playing with it. The Scientific Explorer Disgusting Science Kit can make science more interesting for your 8-year-old as it comes with a wide array of tools and materials that can explain the gross processes the body does. 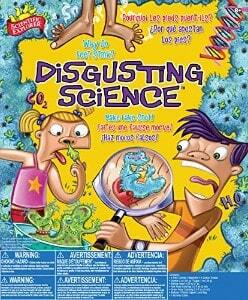 Your son can recreate snot, gas from the intestines, and blood, giving him hours of fun and discovery. What's Great About It: With your help, they’ll be able to get a good understanding of how some parts of the body works. It’ll also be a great way to bond with your little one since this toy requires adult supervision. Minecraft is deemed as one of the most educational video games being played today as it encourages creativity in young kids. It is now being used as an educational tool by teachers and is often utilized to teach coding to younger children. Lego, on the other hand, has always been known as a great toy for kids of all ages. They teach kids to solve puzzles and express their creativity, so they have always been the best picks for gifts. 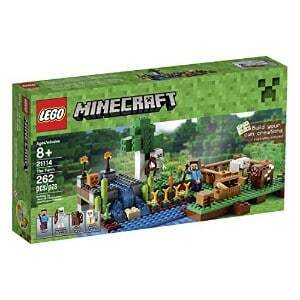 What's Great About It: Combining Lego and Minecraft in one package will entertain and help educate your little one. Toy bows are a lot like toy guns as they can help your kid expand their imagination and express their creativity through make believe. It can also be a great way to get them started on a great and exciting sport. What's Great About It: Aside from the physical exertion involved in playing with this toy, your child will also learn how to concentrate and focus on a target. All of these will teach them a lot of lessons, including patience and perseverance. 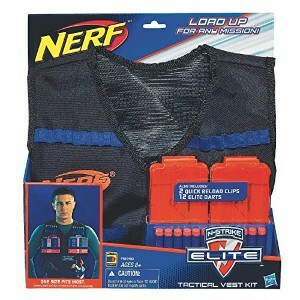 Like the Tactical Vest Kit, the Nerf N-Strike Elite Precision Target Set is another excellent accessory for kids who love playing with their Nerf blasters. This will teach your son to focus on a target, which can be a great way to explore their shooting skills. It can also turn into a competitive game for your kids as they try to be precise shooters. What's Great About It: It adds more ways to enjoy their Nerf blasters and can teach them a thing or two about concentration and focus. A healthy competition among peers can also further encourage them to explore their skill in shooting. Robotics can be a fun subject for kids, especially if the topic was introduced to them in a fun way. If your 8-year-old shows interest in tinkering and operating electronics, this Doodling Robot from 4M can be a good gift for them. 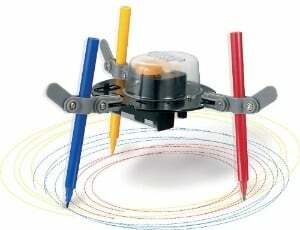 It’ll give them a fun toy to play with while learning the basics of robotics. Simplified to tickle the fancy of little kids, the Doodling Robot doesn’t require a lot of scientific processes to work. Your son only needs to assemble it using the kit’s easy-to-follow instructions and adjust the pen’s height to create various patterns. What's Great About It: It’s a very affordable tiny robot that your son will love to play with, so it’s definitely a great way to introduce him to the wonderful field of robotics. The game of catch may not sound like the most exciting activity around, but for young kids, it can be a great way to spend an afternoon with friends or family. 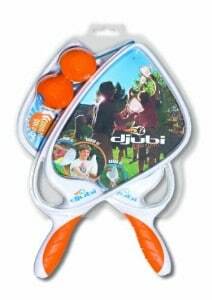 The Djubi Classic adds a fun twist to this old-school game with its specially designed ball and catcher. As the ball can fly as high as 100m, it also offers a great challenge to players of all ages. What's Great About It: The Djubi Classic is not just a fun game for kids. It can also be enjoyed by adults, making it a fun way to enjoy some fun time with the whole family. It also helps teach your child concentrate and improve his hand-eye coordination which can boost his odds at excelling in other sports. 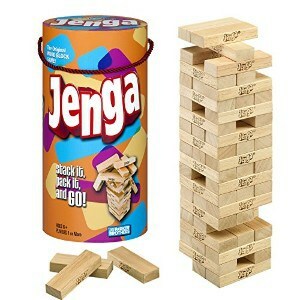 Jenga has proven itself to be one of the most enjoyable games to ever exist. At 8, your child can already enjoy this game thoroughly and play it properly. The rules are pretty simple, it’s all in the execution that might need your close supervision so they can refine their skills and not try to take the easy way out. What's Great About It: Aside from the fact that it can be played by the whole family, this game can teach your kid some lessons in concentration. It can also help him gain better control of his muscles and learn that not everything can be done with brute force. What 8-year-old would not love to learn a few magic tricks to wow their friends? 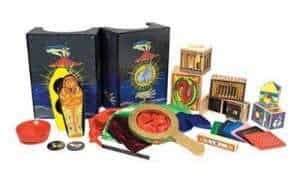 The Melissa & Doug Deluxe Magic Set made our cut as most kids will love to show off to their peers with a trained sleight of hand and this kit will help them do just that. Comprised of a series of tools and accessories that will help them pull off easy yet impressive tricks, this might just be the very gift idea you’ve been looking for to be the best adult ever. What's Great About It: The tricks that your son can learn from this set are pretty simple and fun to learn, so once he's able to perform them without a hitch, his confidence will shoot up. This set can also teach him patience and perseverance as magic tricks do require practice to completely pull off. While hoverboards have been some of the most popular devices as of late, the Caster Board is still a better option for a growing child. This product is basically a skateboard and snowboard all in one, as it requires balance but still allows a lot of creativity. 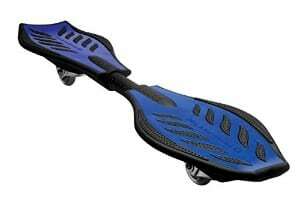 It can also be a great starter tool for more serious board riding in the future. What's Great About It: This toy will encourage your 8-year-old to engage in a fun physical activity that can teach him to be in better control of his body. It will teach him balance and coordination and even develop his own tricks. After a few hours riding this toy, he can also develop his self-confidence. 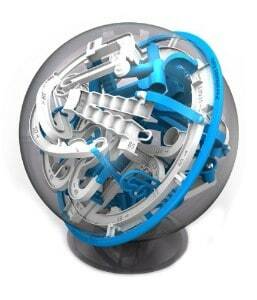 If you want a unique toy that you’re sure your 8-year-old gift receiver won’t have yet, you should try the Perplexus Epic. This puzzle toy offers a sophisticated game where the rule is pretty simple, as you only need to get the small silver ball into the target. What’s in between makes it fun and exciting as it is designed with great elaboration and complication that will have your child engrossed in solving the puzzle, but will have everyone in the family clambering for a chance to have a go as well. What's Great About It: Being a puzzle game, this toy will definitely challenge your kid’s problem-solving skills and spatial intelligence. 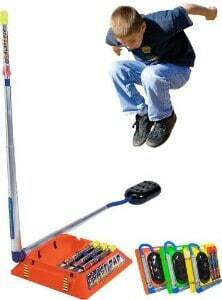 It’s also great for developing their hand-eye coordination. 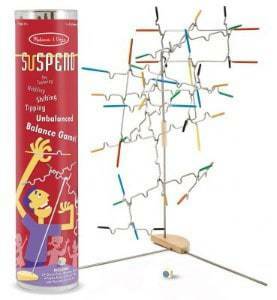 Another unique toy gift idea that you can get for an eight-year-old that the whole family can also enjoy is the Suspend Game from Melissa & Doug. This game is pretty simple: you have a few bent rods and you have to pile them on while keeping the tower’s balance. It sounds simple, but since the rods are specially designed to create a tricky and challenging game, it can be the perfect toy for a child who loves solving puzzles. What's Great About It: This is the perfect toy if you want to improve your kid’s spatial intelligence, fine motor skills, and hand-eye coordination. As this game also requires a steady hand aside from a sharp mind, it can really test a child’s patience and techniques. If you are looking for ways to make summer even more exciting, the Water Sports Water Balloon Refill Kit is a great gift for a young man. 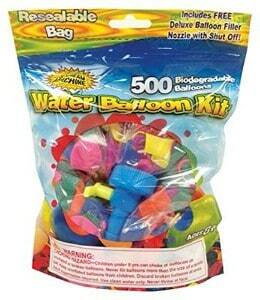 This kit will let you initiate a water balloon fight with great ease as it provides ample ammo for everyone who wants to join in. If you’re worried about the amount of trash that you’ll be making, fret not. These are made from biodegradable materials, so even if they break after an intensely fun water balloon fight, you don’t have to feel bad about all of the waste. Just make sure to gather all of them up, though, especially if you’ve decided to play in a park or other public areas. What's Great About It: It’s a fun and economical gift that can ignite a great time with a lot of kids. It will also encourage physical activity and may improve his imagination. You can also use games like these to keep him energetic in the summer months as well as teach them the lesson of cleaning up after he's made a mess. While RC toys have always been in demand among young boys, drones offer an entirely new excitement as it can give them a chance to actually fly something. This makes it a fun gift to receive as the ability to fly a drone is something a lot of young boys will enjoy. This Cheerson Mini Pocket Drone RC may be tiny, but it will be a great introductory drone for your child to learn to fly. A toy such as this can open them up to a whole world of technology that’s still waiting to be explored, making this a great choice for a fun gift that's also very educational for your son. 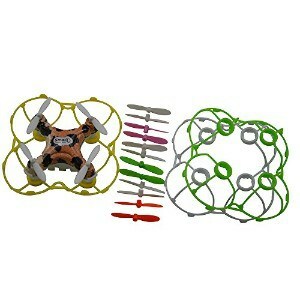 What's Great About It: There are tons of things that a child can learn from a drone like this. For starters, they’ll improve their focus and precision. Their imagination can also soar as high as their drones while flying. 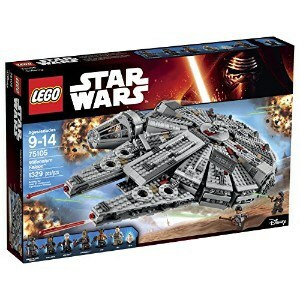 If your little boy loved Star Wars, they might already be begging for the LEGO Star Wars Millennium Falcon Building Kit. This toy will let them build their very own spaceship, and not just any other spaceship, but the classic and iconic Millennium Falcon. Having one of these kits can be a great testament to their love for the franchise, which is a really great gateway to the magnificent worlds of fantasy and science fiction. What's Great About It: LEGO sets are deemed to be great educational toys as they are fun to play with and will challenge your child’s problem-solving abilities and creativity. Throw in a goal of building the Millennium Falcon and you have a complex challenge that will trigger his creativity, competitiveness, and determination. Nerf blasters have always been great gift options for grade school kids as they tend to enjoy make believe games with them. They may not be favored by some parents due to the fear of violence, but as mentioned above, letting your kids play with these toys can be better for young boys as they help manage aggression in a healthy manner. 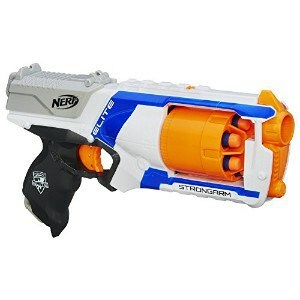 The Strongarm is a great Nerf blaster as its pistol design is not too complicated for 8-year-olds. Cocking the blaster is very easy with this unit so your child will have an easy time playing with it. 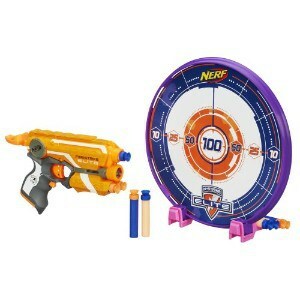 The foam darts are soft and won’t hurt your son or his peers, especially if you choose to buy the target with this blaster to complete a fun shooting set. What's Great About It: Nerf blasters encourage safe imaginative play, making them great options for young kids. 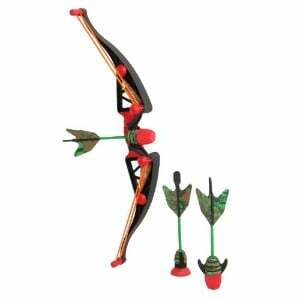 It can also help train your kid’s concentration and precision when used with a target. While eight-year-olds are now able to understand instructions and properly execute them, it wouldn’t hurt to make their chores a bit more fun. This is why Hamper Hoops are great gifts for boys at this age as it makes tidying up and putting away their dirty clothes a lot more exciting. Technically, the Hamper Hoops is not a toy, but an actual hamper. 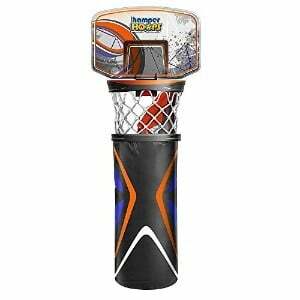 But since your kid can play with it while keeping their room in order, it’s still a great gift for a child who loves basketball. What's Great About It: Not only will this product encourage your son to manage his dirty clothes, but it’s also a fun way to help him develop a good habit of keeping his room clean and clear of dirty clothing. The perfect complimentary gift to a kid who already has a kiddie microscope at home and can’t resist learning more about biology and living creatures, the AmScope Prepared Microscope Slide Set for Basic Biological Science Education is a very good gift idea for the child who loves science. 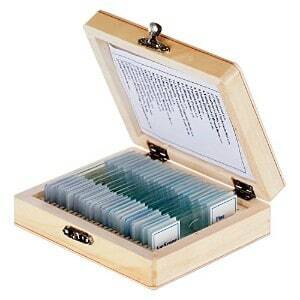 This product offers 25 prepared slides that are neatly organized in a cedar box. Each slide contains a different specimen that your little one can learn about. What's Great About It: Specimens may not be your idea of a great gift, but for a child who loves science, this can be a great introduction to the wonderful field of Biology. It can get him excited and curious about the field, which can push them to pursue higher education in this scientific branch. Eight-year olds already have increased muscle strength and agility which makes it a great time to introduce them to different sports. 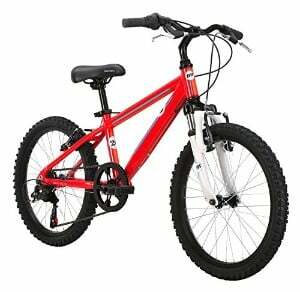 If you love trail biking, this Diamondback mountain bike can be the perfect choice for your little one so you can take them riding on the weekends. What's Great About It: This product can get them interested in serious biking and exploring the great outdoors. It will also provide an excellent physical activity for your little one to keep them healthy and happy. Choosing a gift can be very tricky, especially for kids who explore their interests and are learning more about the world. This is why making this list has been a challenge as it required a lot of research. We’ve had to consider different interests and the developmental factor of each item, so you can be sure that these toys will not only bring fun to the receiver, but will also teach them a thing or two, and hone some of their skills in an exciting manner. As always, we’ve also been very meticulous in which products are of high-quality construction, materials, and craftsmanship. Since children will be using these products, they have to be safe for their use and health. We recognize the importance of giving children equal doses of fun and learning, so you can be sure that this list is loaded with only the best toys and gifts for 8-year-old boys. By the age of eight, a young child can already understand a lot of things that are going around him or her. They will also have better control of their bodies, completely leaving their clumsiness behind. 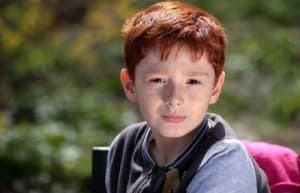 You might also notice that they are now striving harder at gaining more independence from their family while trying to work on improving their relationships with peers. They are starting to know what they want and they will have no problem in expressing what those things are. In short, there’s a lot on the plate of your 8-year-old and it’s a crucial time to give them ample doses of support and freedom. It’s essential that you get them the right gifts and toys around this age as these things already have great impact on them. They now understand how these things work, so you have to step up to the plate if you want them to appreciate your present. The wrong gift might trigger an emotional outburst as well, so it’s best to work on choosing the right toy so both parties won’t get offended. Of course, you should also consider the interests and developmental stage of the kid that will receive your gift. At 8, kids are already curious about certain things. It might be a sport, music, a book series, or a subject. If you can learn what they like, picking a gift can be very easy. If you have no clue what they like and have no way to learn about it immediately, opting for something fun, challenging, and educational is your best bet. With so many options to choose from, you really shouldn’t worry about what present you can get for a child. These are just twenty of the best toys and gifts for 8 year old boys and you can be sure that there are more of them out there. We hope that our selection helped you have an idea what you can get, as these are definitely fun and educational picks that will not only give your kid a blast, but will also help them learn a thing or two as well.